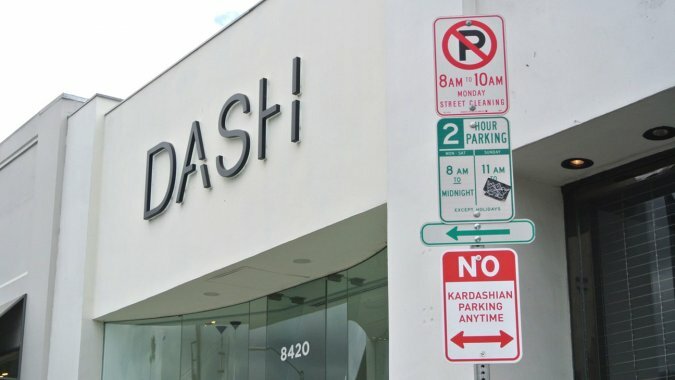 Parking just got a whole lot harder for the Kardashians. 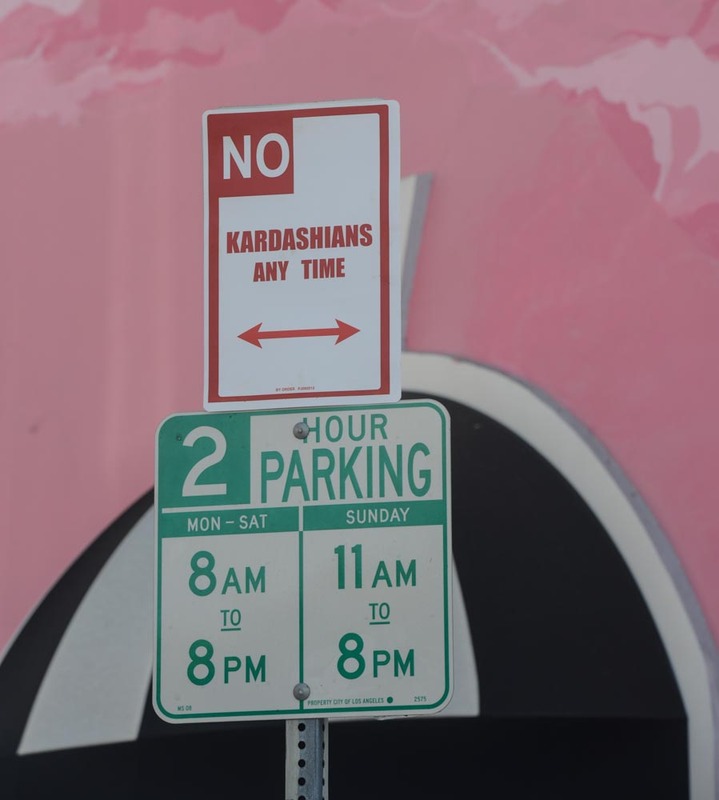 Spotted all around Hollywood, California, “No Kardashian Parking Anytime” signs are popping up on street posts. Most hilariously, one has been posted in front of Dash, the store owned by Kim and the rest of the Kardashian sisters. The street artist is Plastic Jesus, most famously known for his “Stop Making Stupid People Famous” tag, and is known as the Banksy of Los Angeles. The L.A. police say while no one has filed an official complaint yet, the art is definitely vandalism. What do you think about Plastic Jesus’ latest installment? Paris Hilton vs. Kim Kardashian: Who did it first?